You can include your logo, company name, phone number and/or website address on your slip in folders and mounts. And the best part is - we offer this service FREE of charge when you purchase 100 or more from our range of quality photographic slip-in folders and strut mounts. We'll also give you your first block free of charge to get you started. If you'd like additional blocks, there is a charge of £40 per block. Our FREE branding offer means we will brand your mounts or folders in 1 location at no additional charge when you order 100 or more. 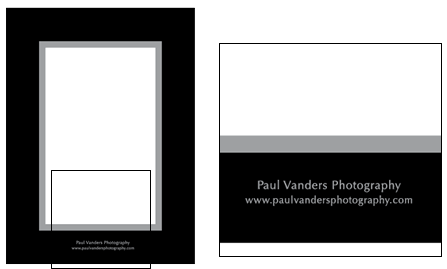 Branding can be around the aperture, on the back or on the front cover if it is a folder. If you want your mounts or folders branded in more than 1 location, a charge per size will apply. For each additional location, there is a setup fee per size of £5 plus a charge of £3 per 100 mounts or folders branded. 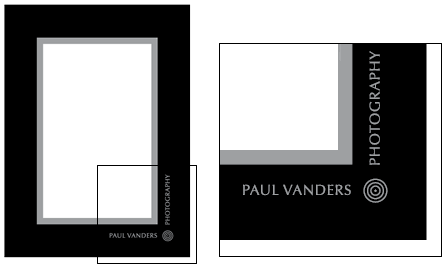 Once you have uploaded new artwork, a proof will be emailed to you detailing how it will look with your chosen position and orientation. We offer 1 FREE personal block to every customer. Additional blocks or one off event event blocks incur a charge of £40 each. We are offering to brand your mount or folder in 1 location FREE of charge when you order 100 or more. 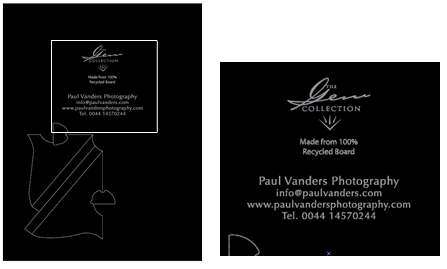 This can be around the aperture, on the back or on the front cover if it is a folder. 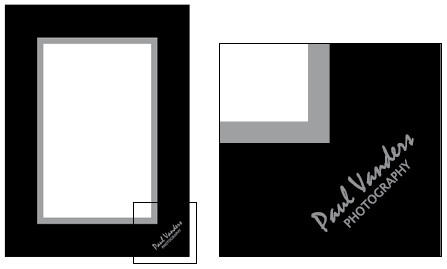 If you want your mount or folder branded in another location as well, then a charge applies for each size mount/folder with the additional location. For each additional location, there is a setup fee per size of £5 plus a charge of £3 per 100 mounts or folders branded. Yes you can for a small charge. There is a setup fee of £5 plus a charge of 0.03p per mount or folder branded. Yes you can! You could choose to have a mount branded on both the front and the back. There is a charge for the additional branding location. There is a setup fee of £5 plus a charge of £3 per 100 mounts or folders branded. Yes. There is a charge of £40 to have the block made but the actual branding of the mounts/folders is free of charge. Only one FREE personal block per customer. FREE branding will be provided in one position only per folder or strut mount when 100 or more units are ordered. Additional positions can be branded at an extra charge. There is a setup fee of £5 for the second set of branding plus a charge of £3 per 100 mounts or folders branded.